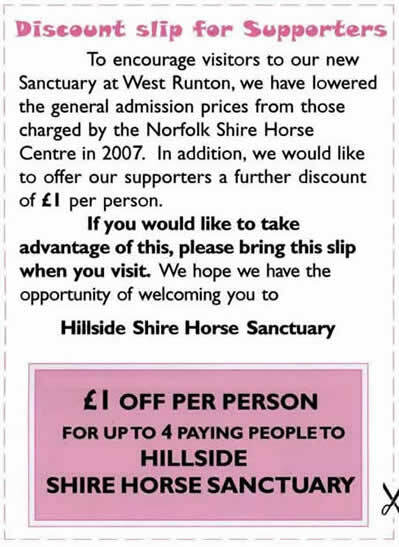 We would like to share with you, a short film made by a visitor to Hillside Shire Horse Sanctuary at West Runton. Open Days are recognised under their Quality Assured Visitor Attraction Scheme. Their inspector reported: "The most outstanding features were the peaceful ambience, the clean conditions of the animals and the neat presentation of the enclosures and paddocks." We serve 'animal friendly' refreshments, have a spacious gift shop to browse and a shop with a variety of bric-a-brac. Dogs are welcome too (on a lead please). To find us at Frettenham from Norwich outer ring road take the B1150 towards North Walsham. After 4 miles you will see The White Horse Public House on the right. Take the next turning left into Hall Lane and Hillside is the first turning on the left. 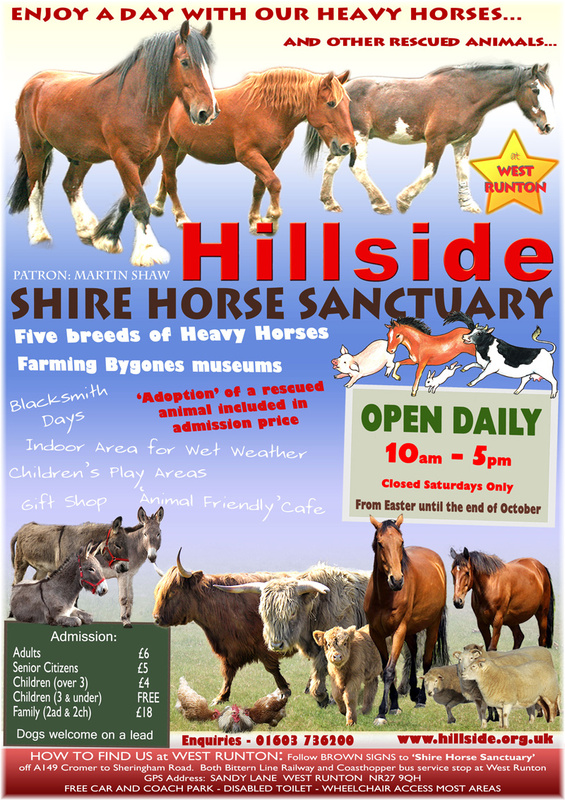 GO TO HILLSIDE'S HOME PAGE HERE . . .